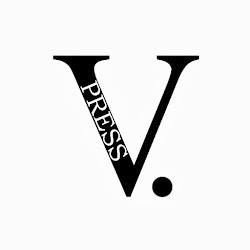 Christmas is coming, so V. Press is getting in the spirit with a special Xmas Poetry Bundle offer, plus news of our 2016 plans. 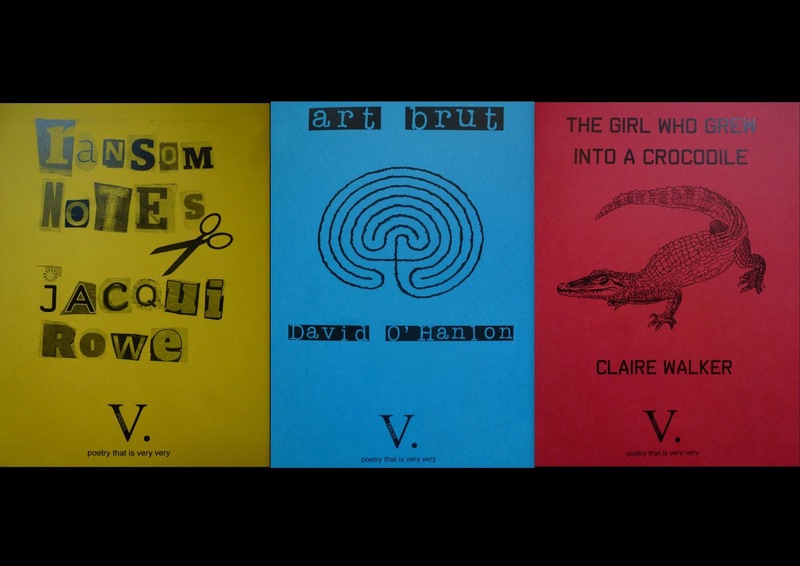 In the run-up to Christmas, we are offering a package of all three V. Press 2015 poetry pamphlets for £14.00 (including P&P in the U.K. only). 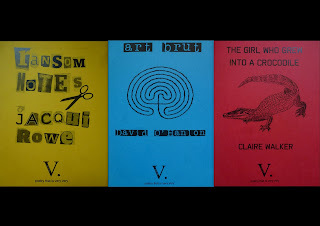 The paypal button for this poetry bundle is below and information about the individual pamphlets can be found in the following links: Ransom Notes by Jacqui Rowe, art brut by David O'Hanlon and The Girl Who Grew Into a Crocodile by Claire Walker. Our publications lined up for the first half of 2016 are: Book of Bones, a full-length poetry collection by Kathy Gee; Hometown, a flash fiction pamphlet by Carrie Etter and The Old Man in the House of Bone, an illustrated poetry pamphlet written by David Calcutt, with illustrations from Peter Tinkler. Strong submissions during this year's submission window has made our final selections particularly hard. We are now working with a number of poets on various projects and manuscripts…so hopefully more announcements soon about publications for later in 2016 and into 2017. The past two years, we have run a month-long submission window in August. Next year we anticipate a few changes. These include widening submissions to flash fiction pamphlets, as well as poetry. We may have a slightly longer window period, a different timing for our submission period, and possibly two submission windows instead of just one. If you are considering submitting your manuscript to us, please keep an eye on the website from February 2016 onwards.